We are a Complementary Health Clinic specialising in Back/Neck Pain-Structural Injuries. Amatsu (Natural Japanese Therapy) Bowen Therapy. Deep Tissue Massage. Aromatherapy-Reflexology-Indian Heat Massage-Reiki. We also have a Relaxation Club that you can join and Relax and Revilalize for 1-3 or 5 days a week. Our FarInfraRed Heated Massage Beds will help you relax-improve circulation-build immune system-ease aches and pains and can help and can help with weight loss. Blazing Salads established in 1984 is an independent, wholefood vegetarian deli which offers a wide range of delicious salads, soups, savouries and organic cold pressed juices. Also a great selection of vegan pastries and cakes. All food is made daily on the premises using the highest quality ingredients. 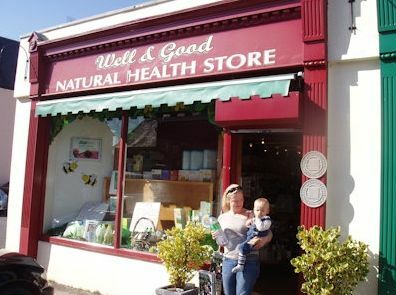 Based in Blackrock, Co. Dublin, Ciara Murphy has been in private pratice since 2003, and offers professional consultations in herbal medicine, iris analysis, colon hydrotherapy, nutrition, naturopathy and reflexology. Cornucopia is one of Ireland’s most successful vegetarian restaurants. Located in the heart of Dublin city. The food is wonderful and more and more of it is made with organic ingredients. The new extension has provided a big increase extra seating and has made eating there a much more enjoyable experience. Though prices are on the high side for a vegetarian restaurant, many of the ingredients are organic and the restaurant is situated in a prime city centre location. Down to Earth is Ireland’s leading health food store, conveniently situated on South Great Georges Street, Dublin. They supply a comprehensive range of health food supplements, vitamins, organic foods and aromatherapy oils. They also stock natural cosmetics not tested on animals and environmentally friendly household products. VSI member discount: 10% discount. Note: Govindas, Middle Abbey St., does not yet give a discount. The original Govinda’s Dublin restaurant has become an extremely popular place to eat out whether it’s lunch or a nice evening meal you’re looking for. With its unique atmosphere and friendly staff you are sure to enjoy your visit as well as your experience of Govinda’s cuisine. Just four minutes from Stephen’s Green Shopping Centre. VSI member discount: 10% discount. Graze Canteen @ The elbowroom is committed to providing ethical, home grown, organic, locally sourced fare where possible. Their repertoire of nutritionally packed goodness spreads through every facet of their vegetarian food menu. Raw, vegan, gluten, wheat and sugar free options available along with healthy child-friendly selections. 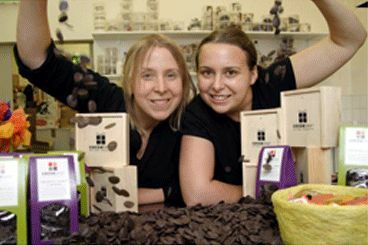 And for pure indulgence direct trade, organic coffee, chocolate, truffles and cakes await. Olive’s Room is a tea room in the Victorian Red Stables in St Anne’s Park, Clontarf. They are passionate about the pursuit of wellbeing, by which they mean getting the balance right between enjoying ourselves and keeping healthy. Their menu features lots of veggie dishes and usually a vegan-friendly option. If you ring ahead of your visit, they can make sure there is vegan cake! Planning a party? They are delighted to cater for vegetarian events in the Red Stables! 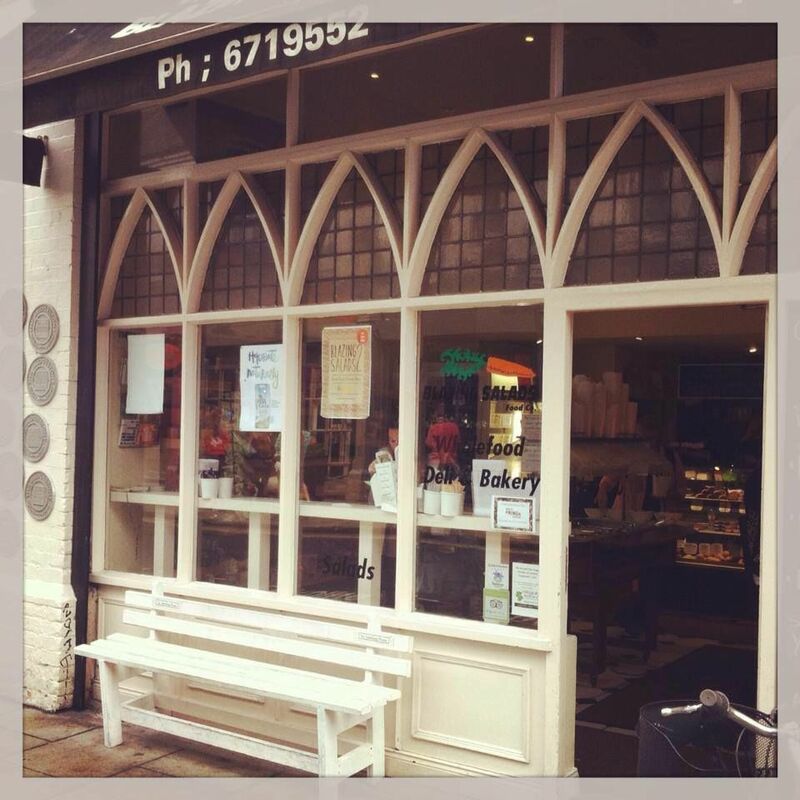 Small Changes is a vegetarian wholefoods store based in Drumcondra and has recently opened an evening deli. They serve vegetarian food, snacks as well as organic coffee and teas. 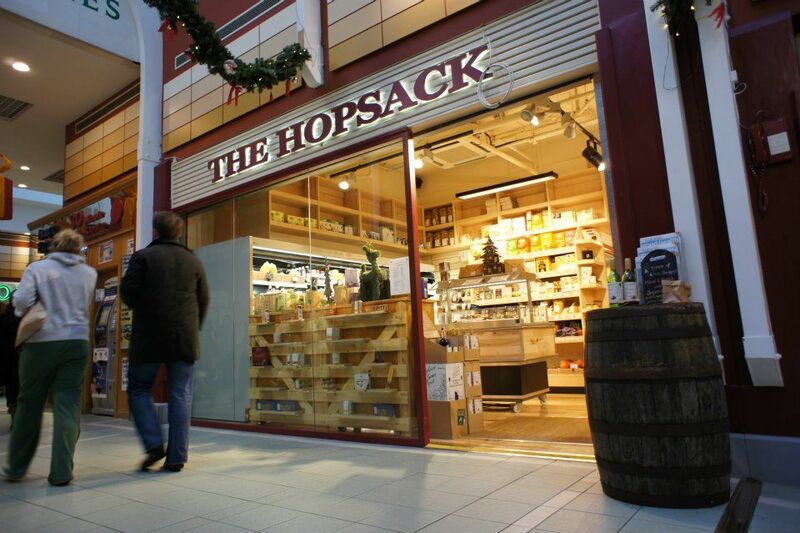 The Hopsack is one of Ireland`s longest and best established health stores. It was established in 1979 by Jimmy and Erica Murray and has evolved to become one of Dublin`s best sources for organic, fairly traded, ethnic and special dietary foods. Adalberto Salles Mollica (Beto) has 16 years of experience with Shivam Yoga and 10 years with Ayurvedic Massage. He is graduated as Nutritionist as well at Federal University of Ouro Preto – Brazil. He has been practicing Traditional Shivam Yoga since 1994. Beto is 34 years old now. 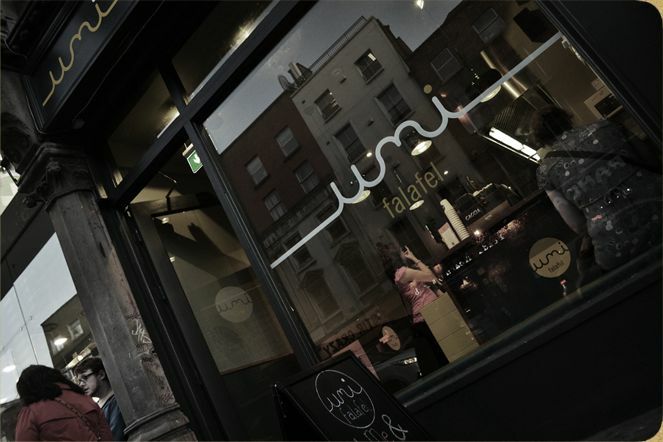 Umi Falafal is a 100% vegetarian restaurant (with plenty of vegan options) in Dublin city centre. They serve a selection of falafal sandwiches, salads, wholesome soups and Mezze. Umi Falafal is currently open midday to 10pm. Spectrum Nutrition provides expert nutrition advice for those who follow a plant based diet such as a vegetarian diet. We know that plant based diets can have huge benefits on our health from helping to achieve a healthy body weight, lowering cholesterol and protecting against heart disease. However, the benefits are only obtained if the diet is nutritionally balanced. Too often people cut foods out of their diet without incorporating healthy replacements. If you would like to speak with a dietitian to ensure that you are eating as healthily as possible, you can book in with us for an initial consultation. We will carry out a body assessment, nutritional assessment and guide you in changes you can make to optimise your health. Claim €10 off your initial consultation by mentioning vegetarian society when booking. Please see www.spectrumnutrition.ie for more information. THRIVING (Nutritionist, Reiki and Bio-Energy practitioner) based in Raheny and Dublin City Centre. 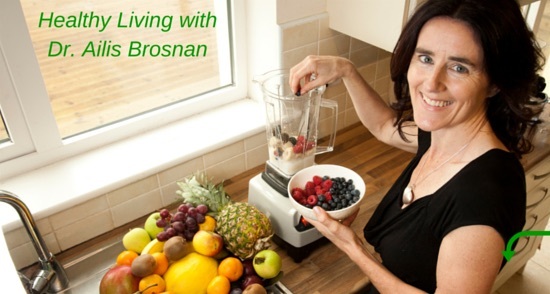 Fiona Barry is a qualified Nutrition Practitioner specialising in Vegan & Vegetarian advice. Fiona has followed a plant based diet for 10 years and has extensive experience working with vegans and vegetarians. VSI member discount: 10% discount on all consultations and treatments. Website: thriving.ie Contact Fiona: Info@thriving.ie or 0851914876. At Yoga Vestra I teach hatha yoga with a strong influence from the vinyasa flow style. My primary emphasis is on safety, and within that my main aim is to ensure that you will feel comfortable, confident, sometimes challenged and always happy throughout your class. You are very welcome to attend Yoga Vestra classes. Yoga Vestra classes are for everybody. You don’t need any knowledge of yoga to start. You don’t need to be a particular height, width or weight to start. You don’t need to be strong and flexible to start. All you need is the willingness to learn and the desire to do something positive for yourself. VSI member discount: 10% discount. A Healthfood shop specialising in quality vitamin and herbal supplements, organic and natural skincare products and specialist foods. Sells an extensive range of angels, fairies, books, CDs, Tarot and angel cards, jewellery, candles, crystals, essential oils, incense, Buddhas, dragons, ornaments and much more. An exclusively gluten free bakery, all products are vegetarian and any orders can be easily adapted to be vegan too. 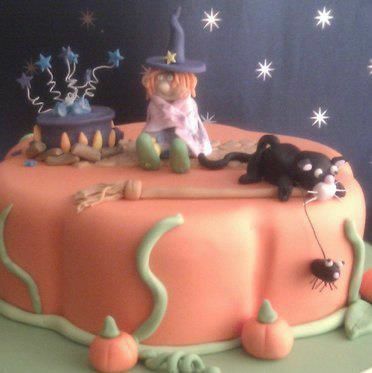 They are a scratch bakery and make cakes and cupcakes for all occasions. Founded in June 1977, Nature’s Gold is one of the oldest health stores in Ireland. 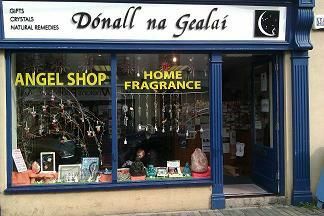 Indeed it is also one of the oldest shops of any kind in Greystones. Small Changes is an online shop and store based in Gorey, County Wexford and offers real alternatives to the Ethical Consumer at an affordable price. They offer a 10% discount to members in both the shop and on online purchases. Wholesale enquiries also welcome. The Happy Pear is a natural food market in Greystones, Co. Wicklow with an organic and non-organic produce section, a dried goods section, a world-class smoothie bar, café and restaurant. 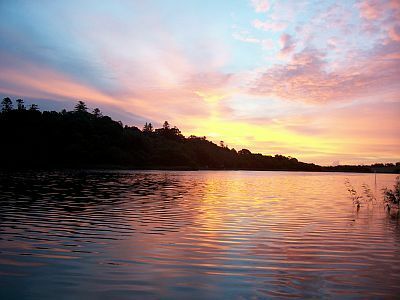 The lake isle of Inisrath is located in Fermanagh, 2 hours drive from both Belfast and Dublin in Ireland. 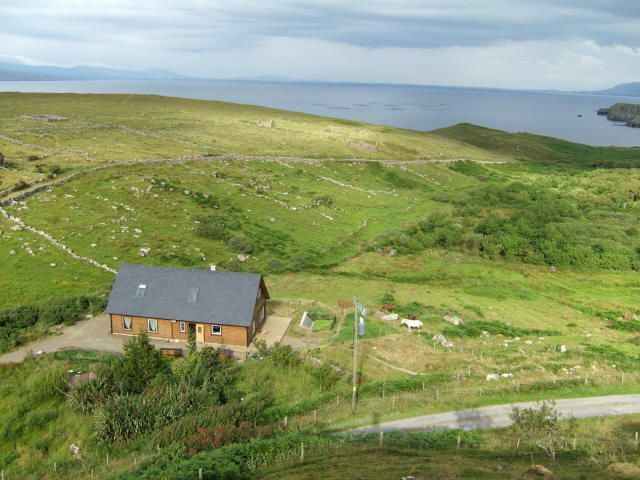 For spiritual, meditation and holistic retreats in Ireland perhaps there is no more fitting and beautiful location. If your desire is just to get away for a weekend to learn, for example, exotic cookery and take walks in a tranquil environment, then that is what we are here for. We provide courses or therapies in: Meditation, Eastern Philosophy, Yoga, Kirtan, Vegetarian Cookery, Massage Therapies, Inner Coaching and Monastic Living. Offering Pregnancy Massage, Holistic and Aromatherapy Massage, Reflexology, Ear Candling, Bach Remedies, Baby Massage and Baby Yoga Classes. Café offering bubble teas and fresh juices and smoothies. Baked goods, a salad bar, gluten-free crepes and vegan breakfast. Caroline Dwyer (Bowles) is a dedicated and caring acupuncturist practicing in Cork City. She is a member of the Traditional Chinese Medicine Council of Ireland (TCMCI) – the national professional registry of acupuncturists and Chinese medicine practitioners in Ireland. 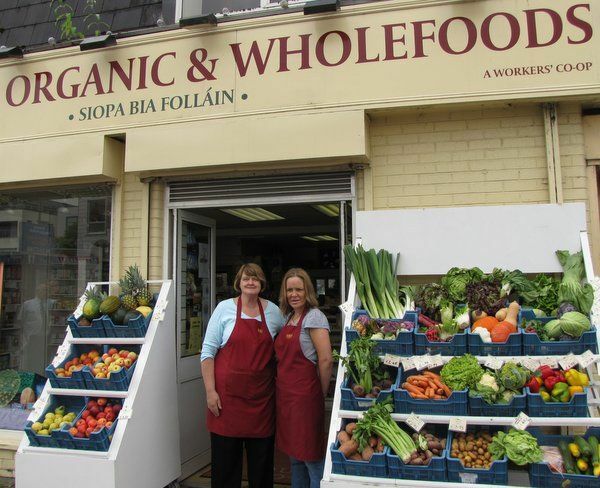 The wholefood and organic shop in Ballincollig is the smallest of the Quay Co-op branches but it is well stocked with a wide range of goods. These include wholefoods, fresh organic fruit and vegetables, bread, cakes as well as natural food supplements and cosmetics. Carrigaline offers all of the advantages of a large, city-sized shop with a wide range of wholefoods, fresh organic produce and bakery goods. VSI member discount: 10%. Applies to shops only, not restaurant. 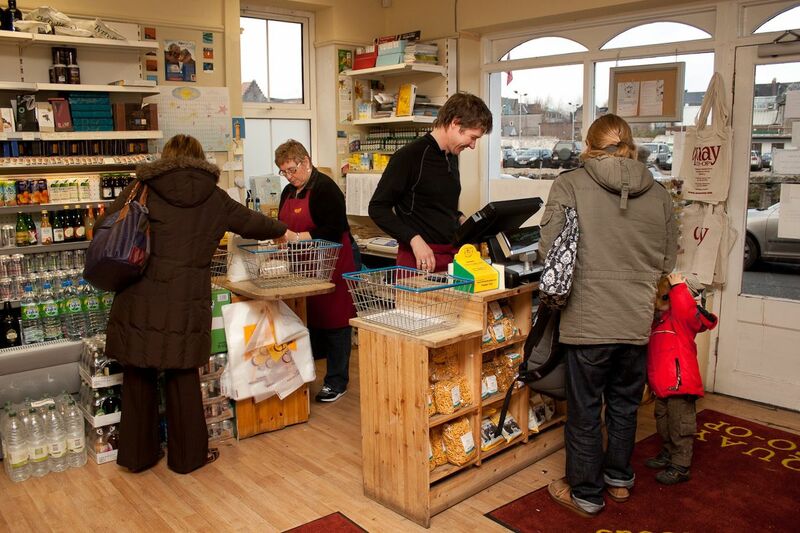 A worker’s co-operative, running a successful vegetarian restaurant, organic food store and ‘in-house’ bakery. Specializing in global fusion and vegetarian cusine. Organic wines. Fairtrade coffees. World Fusion and dance events Organic Health and Artisan food Shop Art and patchwork exhibitions. The Phoenix also offers B&B accommodation, as well as gypsy caravans and chalet rental, and we have ample garden space to pitch a tent. Packed lunches and airport transfers are also available. Your Healthy Living Coach is the culmination of Dr Ailis Brosnan’s 20 years’ experience in health and fitness in the UK, USA and Ireland. Over the years, Ailis recognised the need for an integrated model of health which values the importance of creating health on all levels – physical, mental, emotional and spiritual. She offers a range of workshops, 1-1 health coaching, online programmes and retreats, all aimed and helping you create a healthy lifestyle that enables you to live more fully and feel happier, confident and fulfilled. She is an advocate of plant-based, nutrient-dense diets and have been vegetarian for over 25 years and vegan for nearly 20 years. Embrace Life! 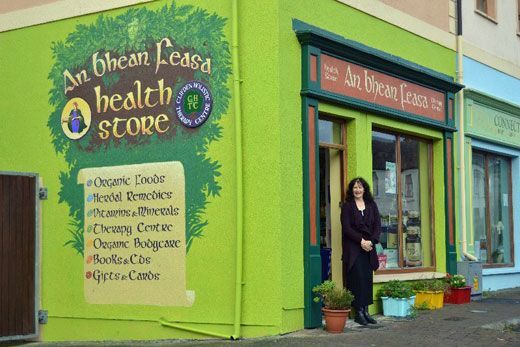 An Bhean Feasa sells everything you could need, from nutritional supplements and herbs to tasty organic food; from environmentally-friendly household products to organic skincare – facial creams, shampoos, toothpaste and makeup; from candles and gifts to local honey and home grown veg. Our goal in life is to support you in your efforts to become healthier in mind, body and soul and to protect the Earth by only stocking organic produce. VSI member discount: 10% discount on all purchases over €20. The Greenway Emporium is run by a family of vegetarians. 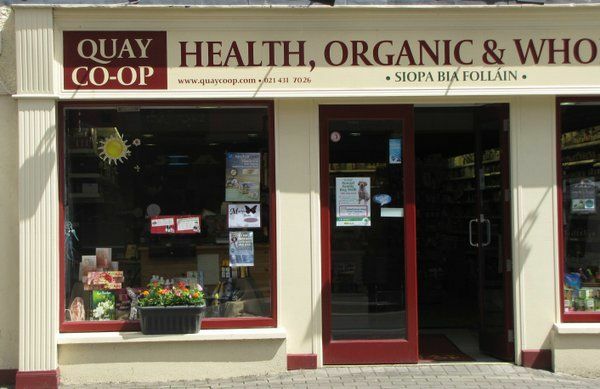 The shop has an ever increasing range of health foods, natural toiletries and baby care products, relaxing music, organic aromatherapy oils, flower remedies, plus Free Trade and ethically-traded. The Stone Barn cafe at Macalla farm is open for lunch from May to September. The food is strictly vegetarian, with many vegan options. All produce are organic, or locally grown at the farm. We offer a 10% discount to members of the Vegetarian Society of Ireland. Natural medicine centre and health store specializing in ayurveda, herbalism, homeopathy and nutrition. Sells a large range of organic spices, herbs and supplements. Hosts Ayurvedic, Hatha Yoga, Vegetarian Cooking and other workshops. VSI member discount: 10% discount on retreats and Mindfulness Based Stress Reduction. A spacious haven outside the bustle of modern life, Sunyata is perfectly situated for relaxation, meditation, and contemplation. 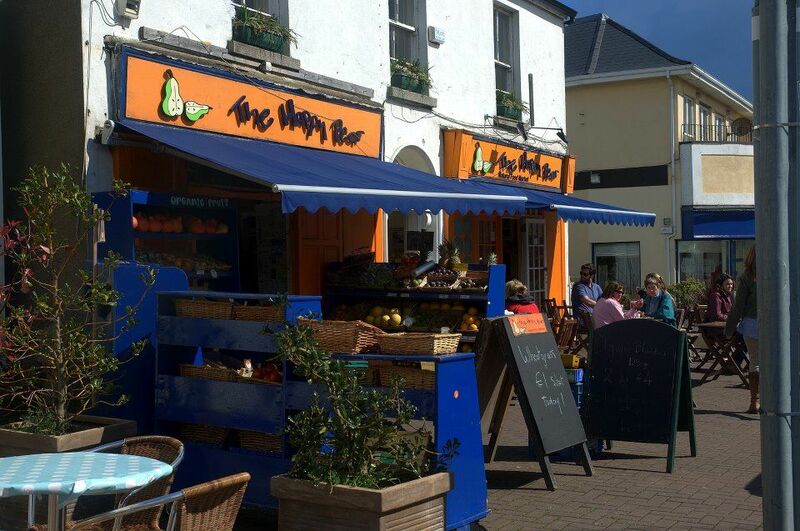 The Bean Tree is a family owned and run vegetarian and vegan food company that has been selling vegetarian food in St. Nicholas Market, Galway on Saturdays for 19 years. They serve one hot dish – their Madras Pea and Potato Curry – and currently seven other vegetarian dishes, chilled or frozen. Of their eight dishes, six are vegan, one has cheese and one has eggs. Only one of their dishes contains gluten – their nut roast. 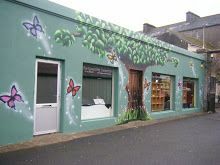 For more information please see their website at www.thebeantree.ie. VSI member discount: 15% off on health screening packages. Health treatments as described in the discount details. Working into English from French, German, Italian & Spanish specializing in economics, finance, accountancy, company law & archaeology. Patricia is a Vegan Society Trustee & National Contacts’ Coordinator. Tivydale offers chic non-leather shoes for women who love fashion and aim to lead a vegan, vegetarian or eco-friendly lifestyle. They believe one shouldn’t have to compromise on beauty and design in order to satisfy one’s ethical ideals.